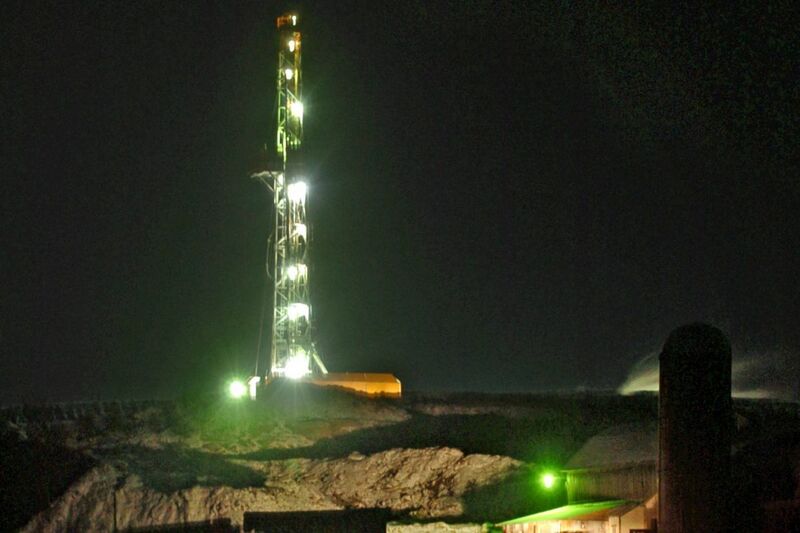 A natural-gas drill rig in Pennsylvania’s Marcellus Shale region. Like the Energizer Bunny, Pennsylvania's budget mess keeps going and going and going, as the politicians in Harrisburg cannot agree on a way to fund the spending that they have already approved. One of the sticking points is the unwillingness to implement a severance tax on natural-gas production. Very simply, there is almost no defensible economic or financial reason not to impose the tax. It should be passed immediately, so the state can get on with its business. What is a severance tax? It's a tax imposed on companies that extract/mine/pump nonrenewable natural resources. Oil and natural gas are the most common products taxed, but not the only ones. Typically, the tax is based either on the volume or dollar value of the resource extracted. As is widely known, Pennsylvania is the only state that doesn't impose a severance tax on its natural-gas producers. That doesn't mean the state doesn't tax the industry — there are impact fees and the usual business taxes. The impact fees, though, have raised maybe one-fourth what a reasonable severance tax would have raised, and they are set to decline precipitously over the next decade. More important, impact-fee revenues don't go into the general treasury. The law requires that 60 percent of the funds go to those counties and municipalities where drilling takes place. As a result, the revenues cannot be used for general purposes, which is a major problem for a state that has major financial problems. But wouldn't a severance tax harm the energy sector in Pennsylvania? Any tax will affect business decisions, but a number of issues have to be considered before determining the extent of the impact. How much a tax influences economic activity depends upon ability to avoid the tax. For example, Philadelphia consumers who can readily shop outside the city can avoid paying the "soda tax." They will not likely change their soda consumption. But those locked into city purchases face higher prices and will likely change their spending habits, possibly significantly. When it comes to natural resources, you have to extract where the resources are located. Fortunately for Pennsylvania, natural-gas drilling has to happen here or the gas doesn't get produced at any great level. The enormous size and accessibility of Pennsylvania's Marcellus Shale formation is why the state is the second-largest producer of natural gas in the nation and one of the top three energy exporters. And that means the potential tax revenues are huge. If Pennsylvania imposed a severance tax, the energy firms could not simply pick up and go to a different state. They would face the choice of abandoning their investments or paying the tax. And, because every other state has a severance tax, it is not likely the industry will abandon ship. Instead, the energy firms will calculate the returns on operations in Pennsylvania and compare them with other states where they might possibly invest in additional wells. Some negative impacts are possible, but given the state's production advantages, those are not likely to be great. Finally, and maybe most important for this discussion, seven years ago the industry, through its legislative backers, was near an agreement with former Gov. Ed Rendell to implement a severance tax in return for regulatory breaks. The negotiation was over the rate, not whether the severance tax would be imposed. So, if the tax was palatable to the industry, why wasn't it passed? As is always the case in Pennsylvania, it was all about politics. Then-gubernatorial candidate Tom Corbett promised not to tax the industry. Once he made that pledge, the discussions ended, and when he became governor, the tax was dead. Pennsylvania has been in desperate need of new revenue sources for at least a decade. In the case of the severance tax, politics triumphed over financial and economic needs. By not imposing the severance tax, the state has left a large amount of money on the table. And since those additional funds were not collected from the energy sector, all taxpayers, be they individuals or businesses, have paid slightly higher taxes to make up for that loss. Pennsylvania's weak financial position has had real economic impacts. The state ranks in the bottom 10 of all states when it comes to funding of public education and is ranked 34th when it comes to infrastructure. For its economy to become more competitive, Pennsylvania must find funds to improve its educational system and infrastructure. The severance tax is a logical place to get some of those revenues.